In as little as 10 minutes you can now have whiter teeth, with White Light Teeth Whitening Kit which incorporates light technology to whiten your teeth. It is designed to be used at home and is extremely easy to use. The advanced light combined with the specially formulated gel, quickly and safely removes surface stains and penetrates deep to remove embedded stains. 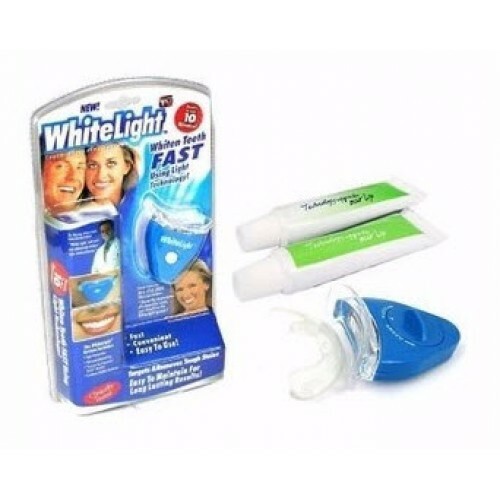 The White Light Teeth Whitener System will help remove stains caused by coffee, tea, fruit juice, smoking, aging, cola, and more using the speed of light. 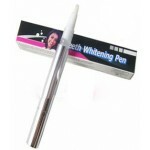 The Teeth Whitening Pen with brush applicator provides an effective and easily affordable way to whiten your teeth. 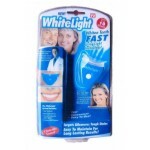 Ideal for the person on-the-go who want to look their best without the hassle of bleaching trays. Convenient, easy to use, completely safe and it works! The Whitening Pen uses an 18% Carbamide peroxide bleaching gel that is easily applied to the surface of the teeth, one tooth at a time, similar to the way one would apply polish to fingernails. Made specifically for at-home use, once the gel has been applied to a tooth's surface it solidifies to form a somewhat invisible film which not only whitens but also protects your teeth from food and drink that causes discoloration, Dry teeth. 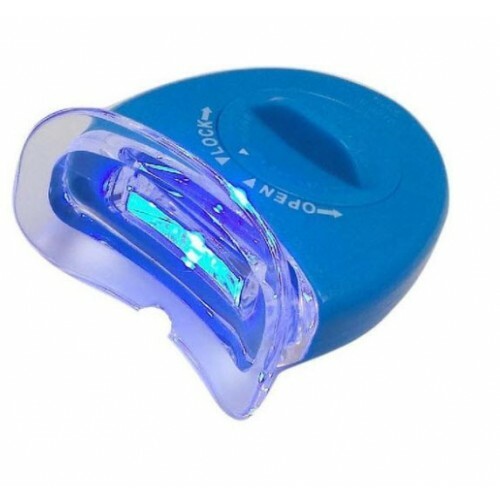 Rotate bottom of click-pen to dispense gel from opposite end.Apply a layer of gel onto surfaces of your upper teeth and allow it to dry for 30 seconds, then repeat this process on lower teeth. Avoid lips from contacting teeth for 30-60 seconds. For better results, avoid eating, drinking or smoking for at least 30 minutes after using the pen. Repeat as often as needed. 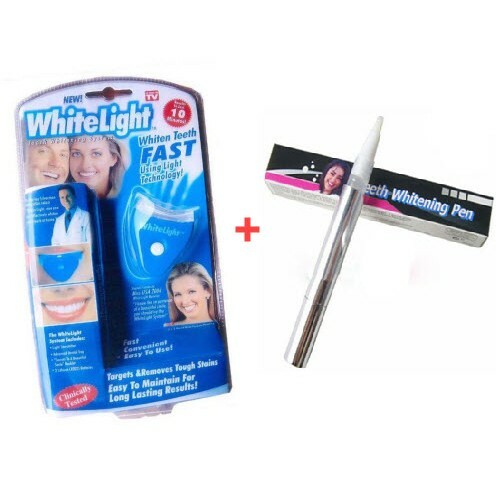 Teeth Whitening Pen will only whiten natural teeth, and will not whiten standard dental work such as caps, veneers, crowns, dentures, or fillings. Do not use with braces or with other dental appliances. Store in a cool, dry place at 20-25°C (68-77°F). Keep away from heat, flame, or direct sunlight.